There is no feeling quite liking waking up on the morning of your holiday. The buzz hits, the excitement grows, and more often than not you know that when you go to sleep that night you will be in a new place and you’ll be on your holiday. We all have our holiday routines, pack the last few things, check all your important documents (repeatedly – no-one wants a nasty surprise at the airport), get a coffee and land the cases in the car. D’you know what’s even better? When you won the flights and know you’ll be experiencing Business Class. When you’re introducing your friend to a new country. I’m very lucky, I’ve travelled quite a lot in my life. The whole experience is something that I am used to, Heathrow is somewhere I’ve flown through many times before, and very little phases me on the day of travel. Emma has never travelled to the US before, so was naturally a bit more apprehensive than me, but thankfully, my parents gave us a lift to the train station to catch our train, and we had enough time to get some much needed breakfast and coffee. The train ride down to London went smoothly (even if it was quite warm and we both felt a little sick by the end), and we knew we had ample time to get across to Heathrow, so we took our time and navigated our way through Euston and down to the Underground. I am one of those weirdos who actually quite likes the Tube. I have tube maps on my kitchen wall, and I am comfortable using it. I’m also lucky that the novelty hasn’t worn off yet, even when lugging suitcases with us, so we made our way onto the Piccadilly line and made ourselves comfortable. The airport is the last stop, and takes just over an hour to get to. OK, it’s a lot longer than the Heathrow Express BUT it’s also a lot cheaper, and when you’re on a budget and have a bit of time, the tube is the obvious choice. It rewarded us with the cutest family ever. Two guys were sitting by us, luggage in tow, and were holding the most adorable baby ever. They went all the way to the airport with us and the baby was a constant source of cute entertainment! The tube station spits you out right in the heart of Heathrow Terminal 5 itself, so we made sure we had all our documents and decided to head straight for the check-in counter and bag-drop. 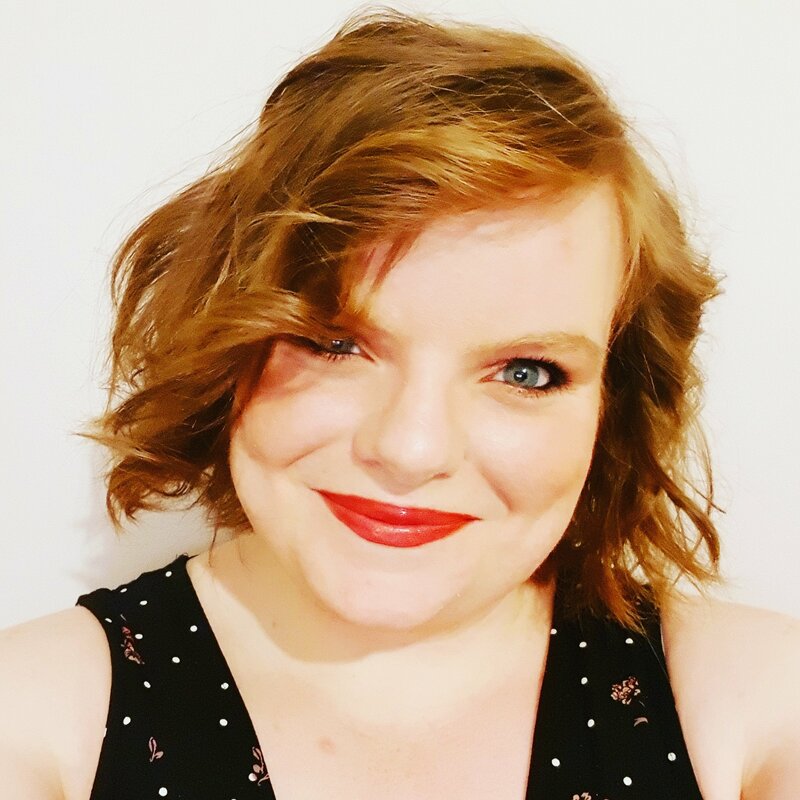 We knew Emma was likely to be stopped, it happened at online check-in, and we knew her documents needed checking, so we went straight to someone who could help, and they got us through pretty promptly. The relief of getting rid of your luggage is the first big breath release at the airport. The second? Going through security quickly, something that definitely happens when you’re in Business Class – I could get used to the fast track line! Terminal 5 is the home of British Airways and is probably one of the best terminals I have ever flown through. Yes, there are amazing shots of the runways and the planes taxi-ing, which keeps a plane geek like me happy, but it’s also full of duty free, designer shops, restaurants, cafés, and lots of things to do an experience. Showing Emma round, going in the different shops and looking at things we couldn’t afford was ridiculously fun and is such a great way to start off a holiday. 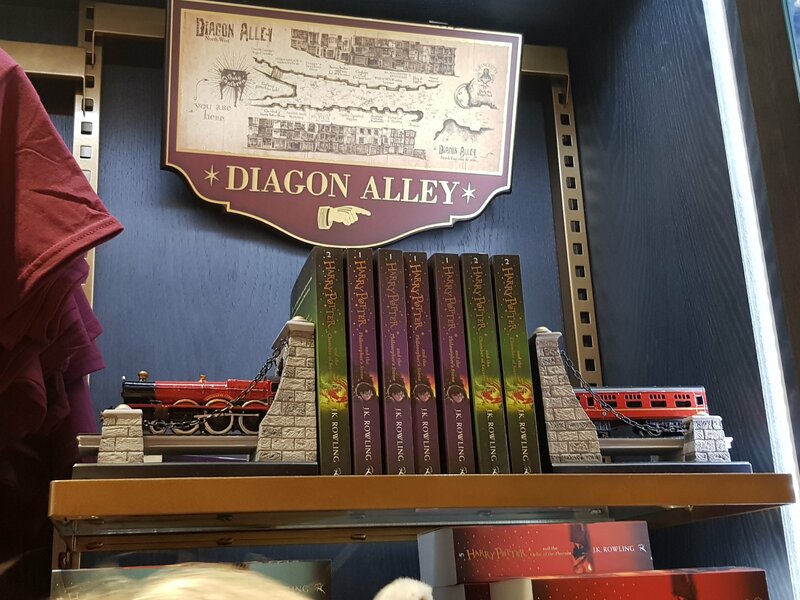 It was pretty cool to explore the terminal’s Harry Potter store too – Mum and Dad had told me about it when they flew through earlier in the year. Terminal 5 was also the start of a major addiction. Somehow, Emma had gone her life until that point without experiencing the wonders of Pret A Manger, a café chain known for great food, cheap coffee, and not inflating their prices airside at airports, all winning features in our eyes. Their food is really good, and unlike many places is affordable and healthy (or they have healthy options at least). Their coffee is also 99p a cup (yep, that cheap) and that doesn’t go up when you get to the airport, so we headed straight there. It started something on this trip, and in general. It became a popular lunch stop on our trip and is now our go to coffee pit stop in the UK, we’ve even introduced uni friends to it since. One of the best bits about the airport for me is watching the planes landing and taking off. I like to sit and watch the world go by while the plane is prepared, and Heathrow is one of the best airports for this. We made ourselves comfy on some prime seating, read a bit, did some last minute research, and generally wasted a bit of time before our flight was ready. Terminal 5 is split into three buildings, the main building where you check in is A, and is connected to B and C by an underground monorail/train type system, so once our gate was announced, we hopped on board and made our way to the C gates, stopping at Starbucks on the way. The worst bit of the trip so far came when Emma and I would split up during boarding. I was cleared and sent straight through, she was held back for a random/extra search. It was a shame we didn’t get the chance to experience walking upstairs on a jumbo jet together, but our seats were worth it when we sat down and got our drinks, our food, and experienced everything that business had to offer. To be honest, I think we struggled to finish the food because it was all great but was too much, so we headed Dad’s advice, drank some champagne, and chillaxed watching some films. By the time we landed, we understood how celebrities travel and look impeccably groomed when they land, the same as they do when they take off. We were fed, rested, and excited about being on US soil. It took a bit of time to get through security, Emma was once again split off from me, but the time she was away was enough for me to collect our luggage, and before long we were admiring our passport stamps, waiting for the bus to take us to Rosslyn and our hotel. It took a bit of time to get to the town centre, and we battled staying awake to make sure we got off at the right stop, before collecting ourselves and our luggage and heading to our hotel. Rosslyn was just how I remembered it from my last trip a couple of years before. It’s a smallish town the other side of the Potomac River from Washington DC, so is technically in Arlington, Virginia. We knew the hotels would be cheaper, or at least we’d get more for our money there, so we took a short stroll to where we’d base ourselves for the first few days of our trip. 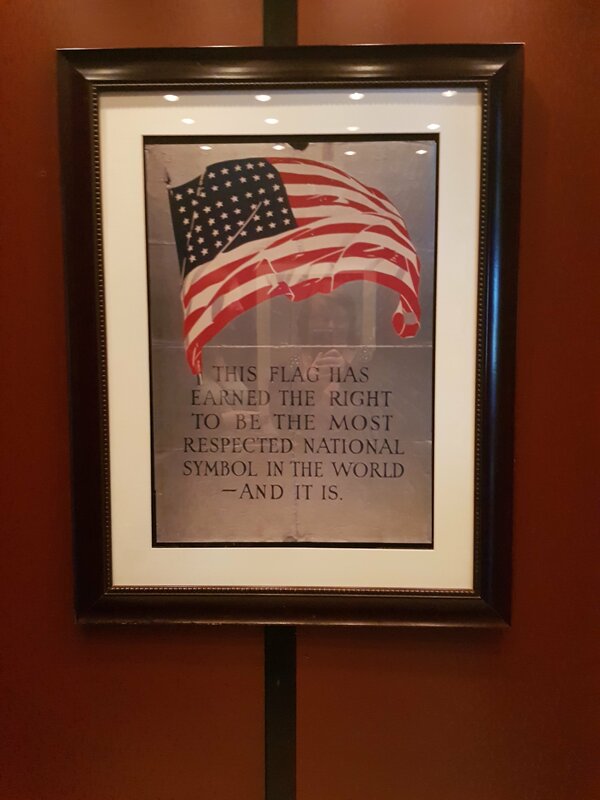 I know it was called Iwo Jima, I know it’s based in Arlington, and I know it literally looked over the Arlington cemetery and the marine memorial, but I don’t think I have ever stayed in such an AMERICAN hotel before! Despite being tired and worn out after a long day of travelling in which we pretty much used every form of transport except boat, we decided to unpack. It took a bit of time, but it was worth it, and allowed us some time to plan the day after, Sunday of Labor day weekend. We settled on a spot of shopping in Rosslyn, the Washington Zoo, and Georgetown. Wow. 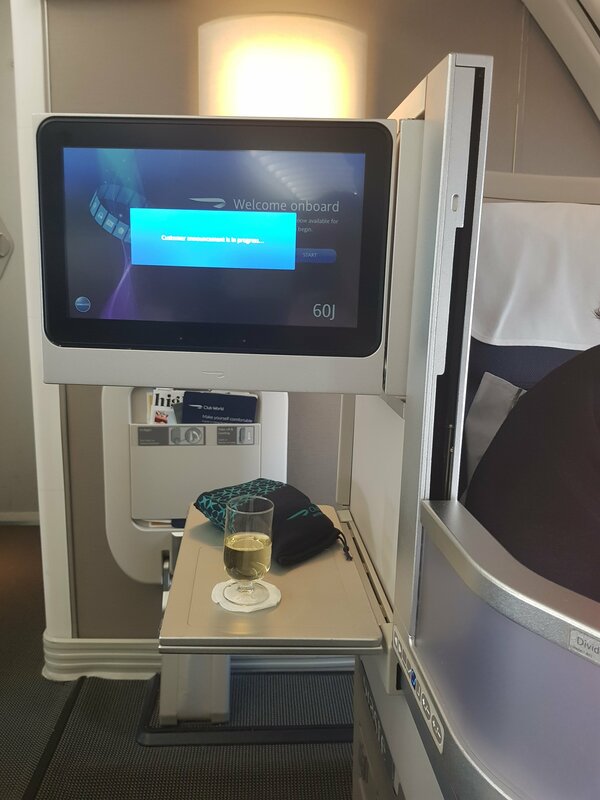 Business class looks amazing!! !